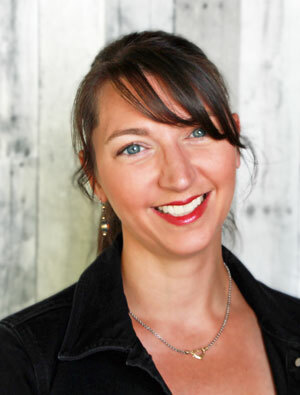 Welcome to the From Play Dates to Parties Hostess Toolkit, a curated list of the tools and party supplies I strongly recommend for planning and decorating your parties. I have tested every recommendation on this page. Many of the resources listed here are the items I use over and over again when planning or preparing for my parties. Some of the links below are affiliate links, which means that if you choose to make a purchase, I may earn a commission at no additional cost to you. Please understand that I have experience with all of these items, and I recommend them because they are helpful and useful, not because of the small commissions I make if you decide to buy something. Don’t feel the need to spend your money on any products, unless they will help you prepare the best event you can within your budget. I love to create and use party printables for my kids’ events. They’re an incredible way to get a custom look without breaking the bank. But you’ll want to use the right products to get the best results. I recently started using my Cricut Maker to cut party printables, and it’s so much better than cutting by hand! Using the print and cut feature, the cuts are more reliable and I can work on other projects while the cutting magic happens. 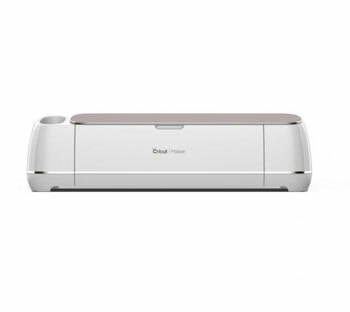 My Fiscars paper trimmer is my most used paper trimmer (other than the Cricut). It’s perfect for all straight edge cutting, such as bottle labels, triangle buntings, and table tent cards. There are some party decorations that we use over and over again. I actually own at least 3 different burlap buntings, and they’re awesome. You can add decorative touches on top, or use them to add layers of texture underneath a customized printable party bunting. A tiered serving stand is one of the best investments you can make. I love this stand in particular because it fits dinner plates, which you can mix and match to fit your theme, and are a great size for kids parties. See ours in action at this S’mores Party and this Mother’s Day Party. You never know if or when you’ll need them, but these are the things that always come in handy. Confession: I have a drawer that is completely full of Command Hooks. It may be a slight obsession. I use these little clear hooks for stringing up buntings but also use the larger hooks for hanging things like wreaths. 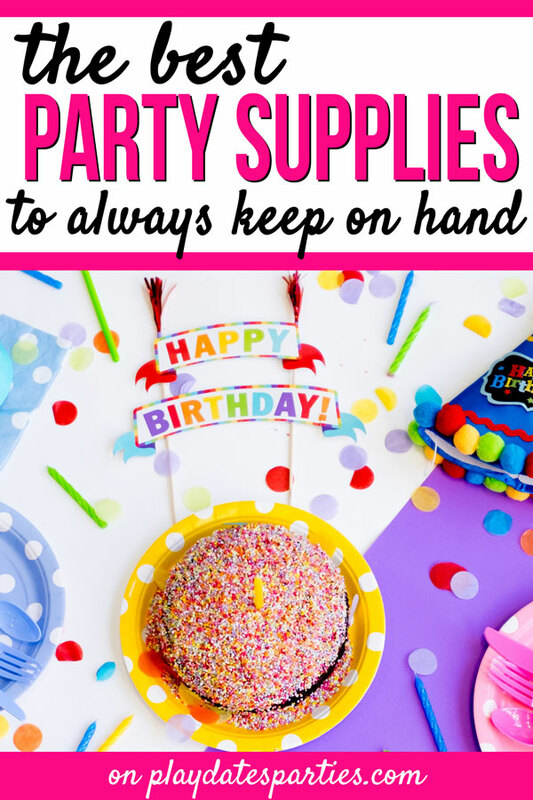 Reusable adhesive putty is an essential part of your emergency party kit. Blu Tack is great because it doesn’t leave grease marks on your wall, and it’s incredibly versatile. I use it for everything from mounting unframed prints, to holding decorations in place. Glue Guns come in handy more often than you’d think. Whether it’s a label that just won’t stay down, or last-minute favor tags, always make sure you’ve got a glue gun and extra glue sticks handy. Now, the products above are the exact items that I use all the time. 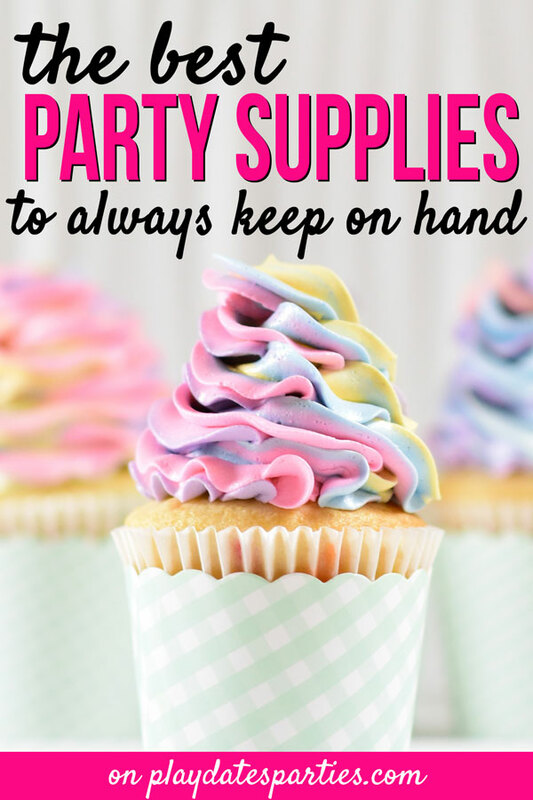 But what about the other party supplies that you’ll need for your party? 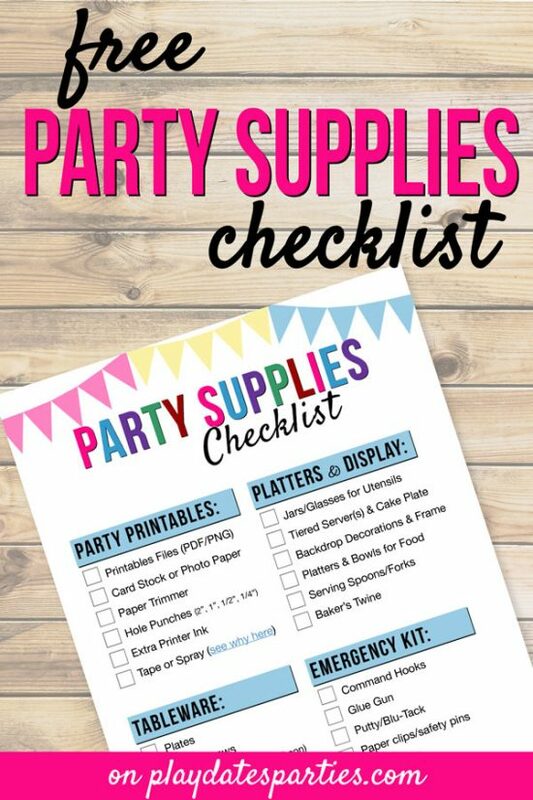 Well, I’ve got a free downloadable party supplies checklist that you can use to make sure you’re totally prepared. Click here to find out more, or fill in the email box below to get your copy ASAP.